Transfer GPS Coordinates into a Human readable address with the nearest location. Fully integrated with your maps application. Reverse Geocoding is the process of reversing a satellite longitude and latitude position into human readable address, such as street name, location, nearby places, etc. The use of the reverse Geocoding is critical to the identification of the location address, helping the user to identify the location based on the local names of the place. 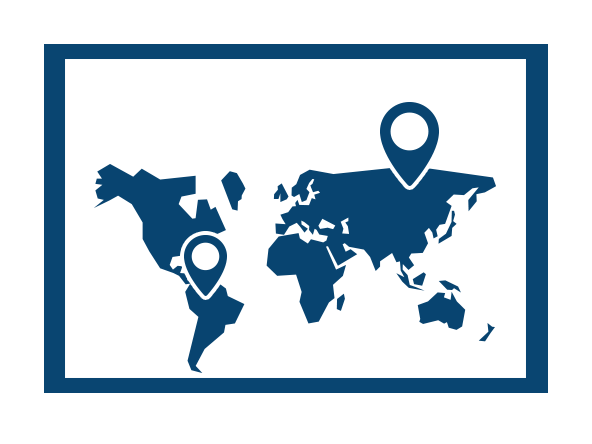 Our reverse Geocoding solution help companies define their own addressing criteria and format to represent Geo location as an address and will help GPS service providers and AVLs provide their customers with a detailed report of GPS coordinates. Throughout the system back end, a system administrator can modify real map data, and replace it with custom address, or add new location address by placing a beacon on a map which will pick the coordinate and automatically fill the rest of the position addressing according to its geographical property. Automatically Transfer thousands of GPS Coordinates real-time to address. Add multi language names for the location, based on your local customers needs. One click on the map location, and a simple entry of the Name of the place, and the system will do the rest of the addressing automatically. Search address for a specific Location, Point Name, or street address. Batch modifying of multiple records, saving time for customization when needed. Fully independent web application that can be hosted on the cloud. Request Location through http service. Customization request code (Protocol) based on your application. Security features to allow only users throughout your GIS application access the address. Can we use the Geocoding platform for more than one system ? Yes, the system is a stand-alone platform and works on HTTP request, its up to the customer to increase the security of only enabling certain domain names from requesting the address. so only requests comes from customer’s web application domain name will be processed and served. What server environment would it need to run? Windows and Linux are good, as long as you have a web server running with PHP interpreter. once the Geo coding web application is published on the web, the PHP listener will start processing your requests. what is the base map of the platform?